our fabulous 2017-2018 arroyo times staff. these reporters and writers share interesting stories and features from around campus. 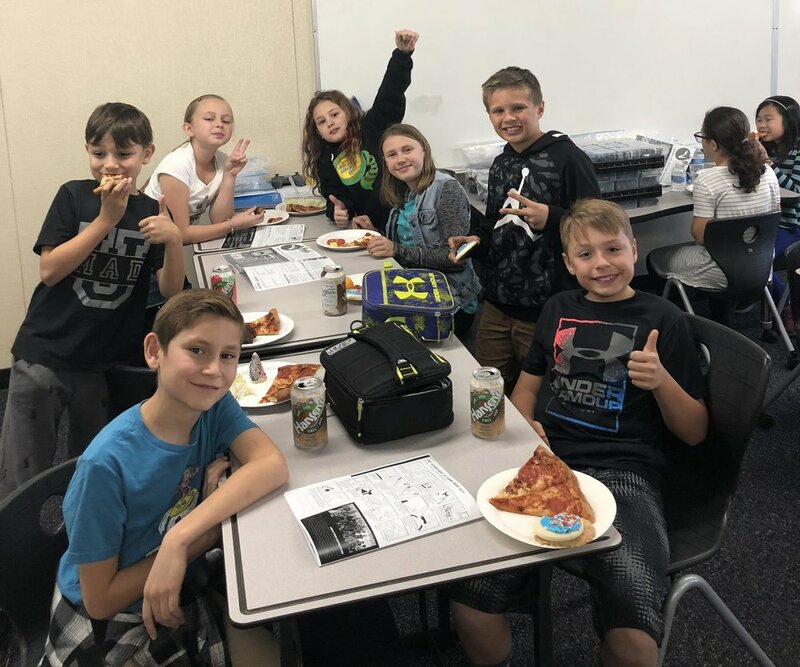 Arroyo times staff Celebrate their first issue of the year with a pizza party. Our hard work paid off! time to party! The Arroyo Times is our parent and student-run newspaper. Arroyo parent, Casey Merkling, helps manage the student paper, and facilitate in the full editorial and publication process. Students develop content, publish and distribute newspapers to the Arroyo community. This year students meet Thursdays at lunch recess in room 26.